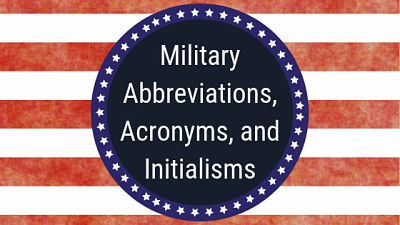 List of official DOD abbreviations, acronyms, and initialisms which encompass the joint activity of the Armed Forces of the United States. This list is approved Department of Defense (DOD) terminology for general use by all DOD components. Source: DOD Dictionary of Military and Associated Terms.